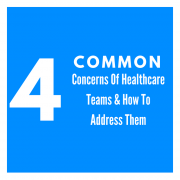 Physician burnout rates are on the rise, which means the well-being of healthcare staff needs to be more of a priority. 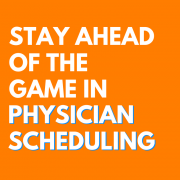 There is constant debate over how many hours physicians should be working, especially when it comes to those just starting out in their careers. Long hours, unending stress, lack of sleep, and the pressures of the job are all factors in burnout. Here are some tips for fighting burnout, just in time for Sleep Awareness Week. 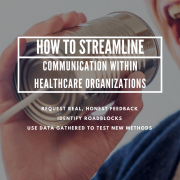 This is extremely difficult for many physicians, since surviving on long work hours and cat naps can be the norm when caring for sick patients. 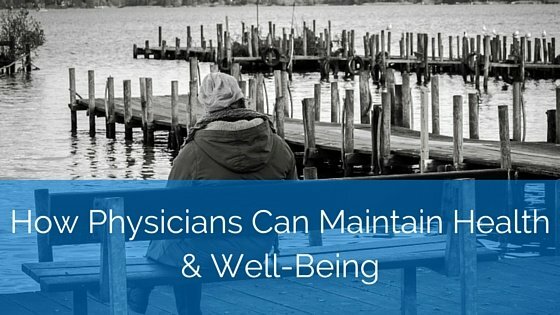 However, the caregivers need to be taken care of, too. Even if it means requesting some time off or possibly going to the administration about schedule changes, proper rest is vital. Research has shown that using our mobile devices right before bed is a bad idea – it disrupts our Circadian rhythm and makes it more difficult to get a good night’s rest. If possible, leave your phone facedown an hour before you settle in for bed. Use the opportunity to read, write, or meditate instead. Even if your lunch breaks are constantly changing, whenever you do have time to grab a meal, make sure it’s a well-balanced one that is good for your health and will give you an energy boost for the rest of your shift. Guidelines for healthy eating can be found here. As mentioned above, sometimes this is necessary to your overall well-being. 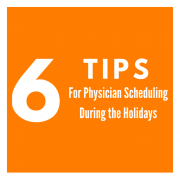 It’s not easy to part with your vacation time, especially if you’re trying to save it for a special occasion, but your rest and sanity are important for you, your family, and your patients. So if this is a viable option, take it. Not only do long work hours leave little time for sleep, they affect leisure time as well. However, carving out even two or three hours a week for taking a jog, golfing, or visiting a museum can make all the difference. During your more strenuous weeks, it will give you something to look forward to and help you to de-stress. Socializing is always a great idea. Take an hour or two to connect with family or friends and talk about something other than work. 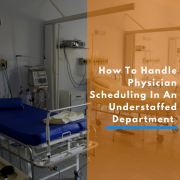 If schedules at your organization are inflexible and make it nearly impossible for employees to find a suitable work/life balance, you should voice your concerns to the administration. 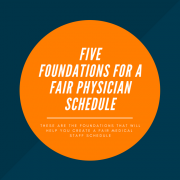 A fairer, more efficient schedule may be a much-needed change for all – it will offer more time with patients and allow for enough rest at home. 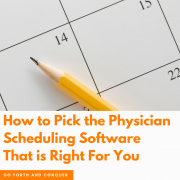 Some healthcare organizations, especially large ones, have turned to physician scheduling software to help achieve fairer schedules for everyone on the team. 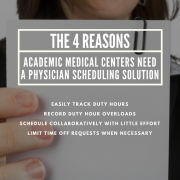 For more on the benefits of scheduling software, contact our solutions specialists.